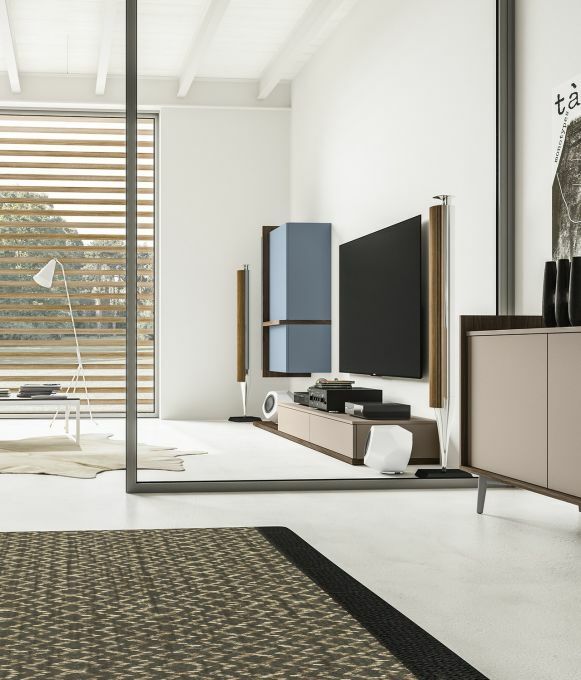 Finishes: Forestal dark and beige. 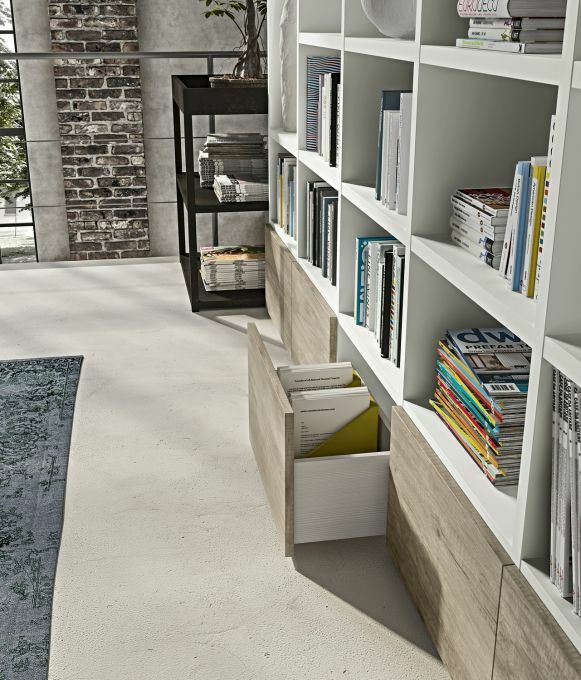 TIME is the versatile programme to accompany Marka Total Living, perfectly integrable with the Day programme for storage; their fusion allows you to experiment with shapes and contours, both when full and empty. 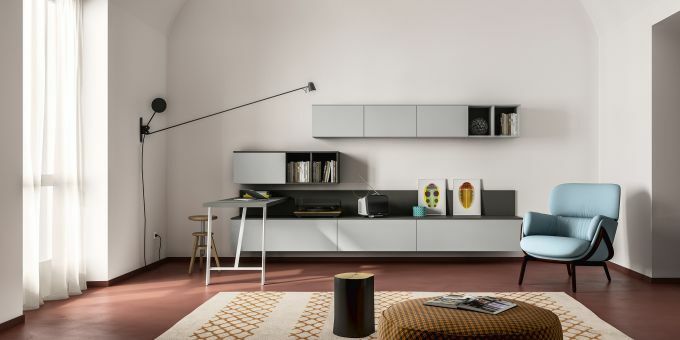 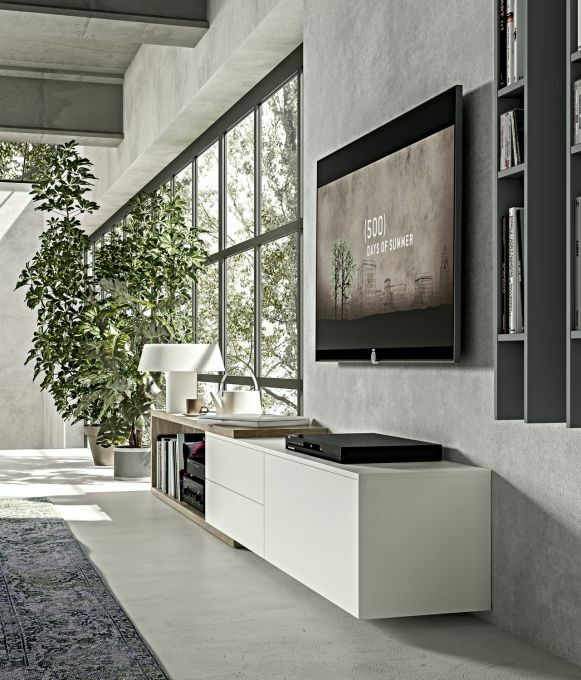 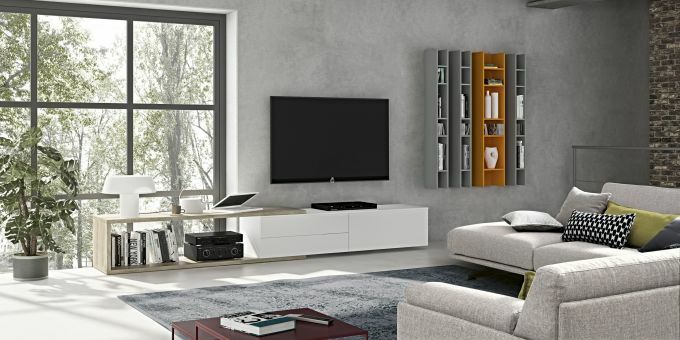 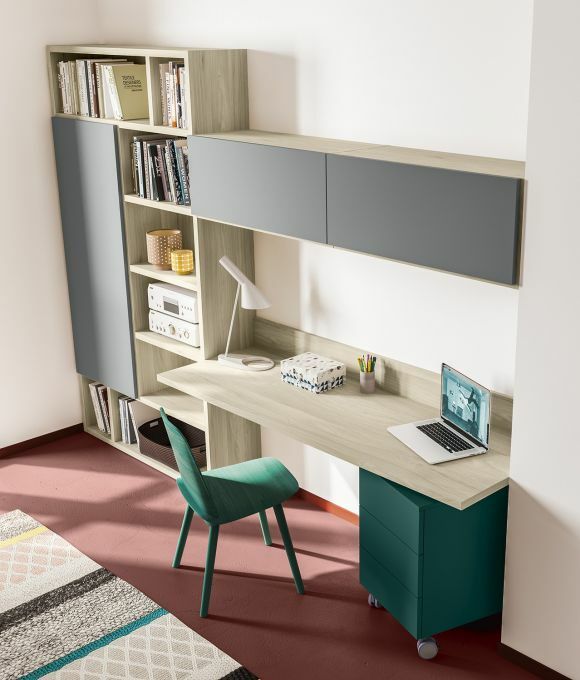 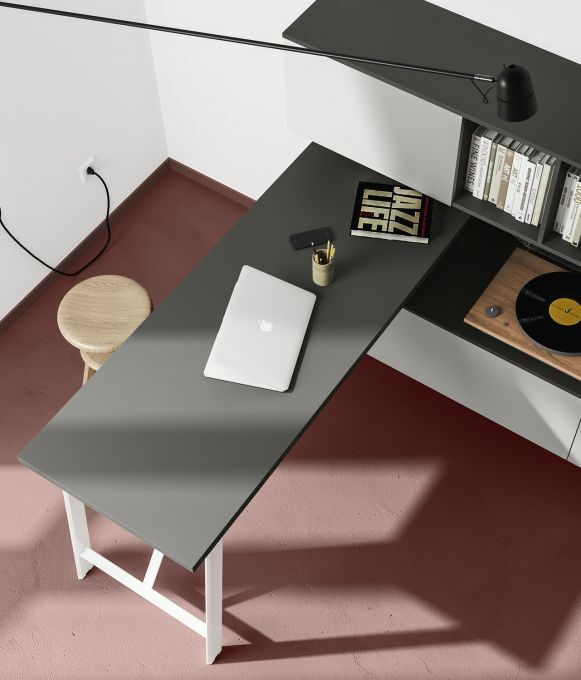 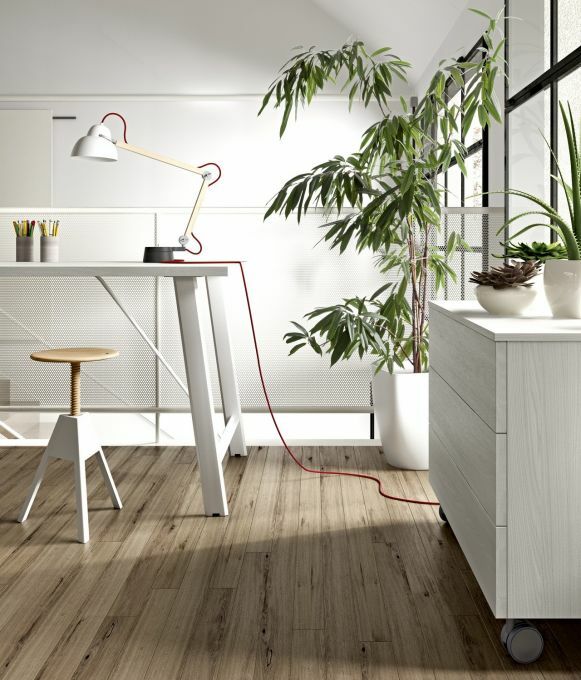 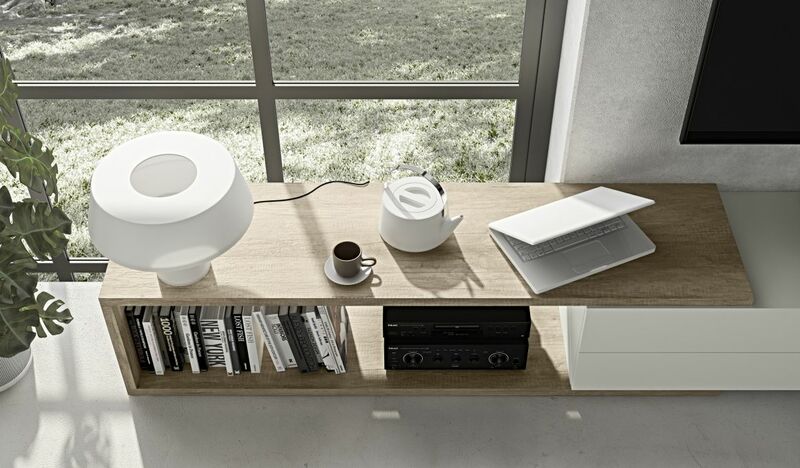 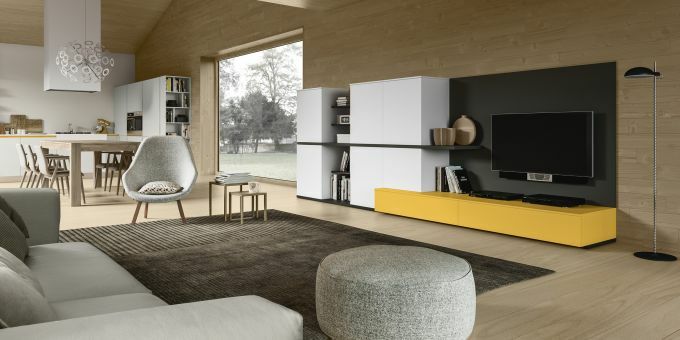 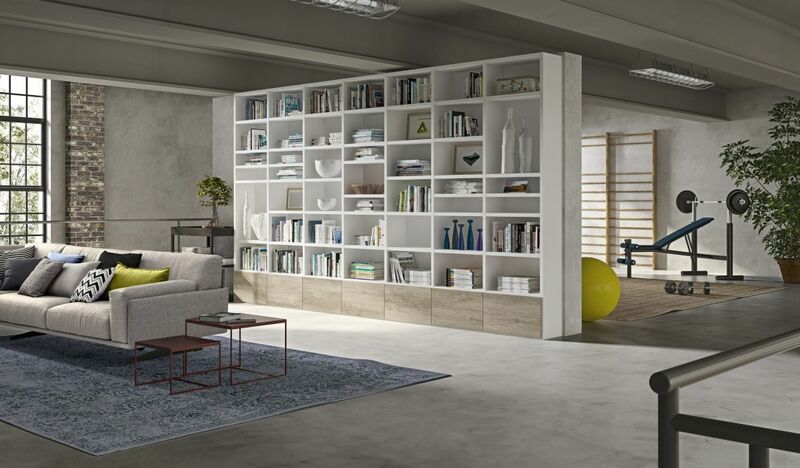 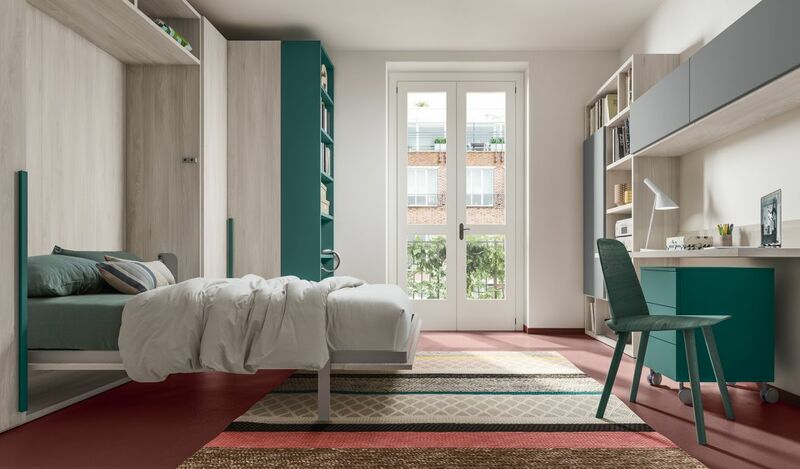 The program of residential living Mobilstella includes a series of compositions in which a practical desk integrates seamlessly into the living area, creating a perfect work space in the living room. 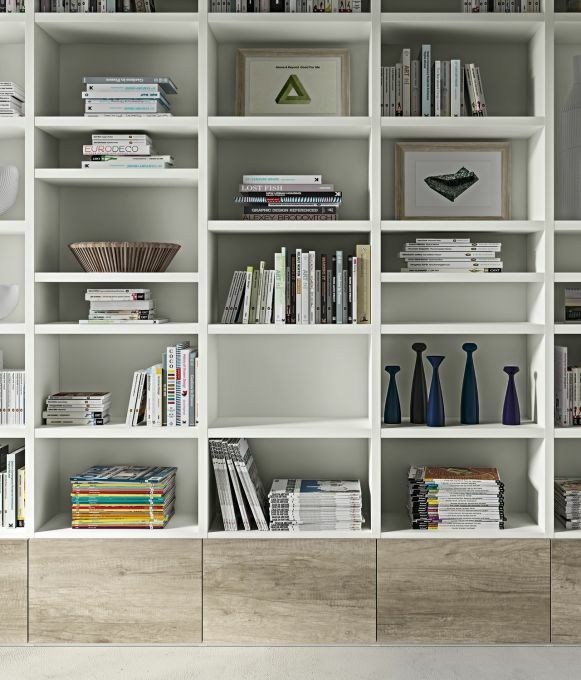 Finishes: Forestal sand, Grigio caldo and Pavone. 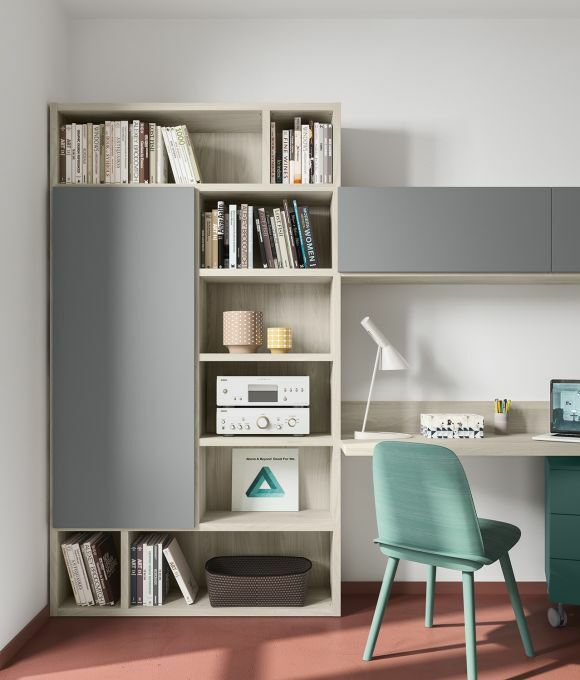 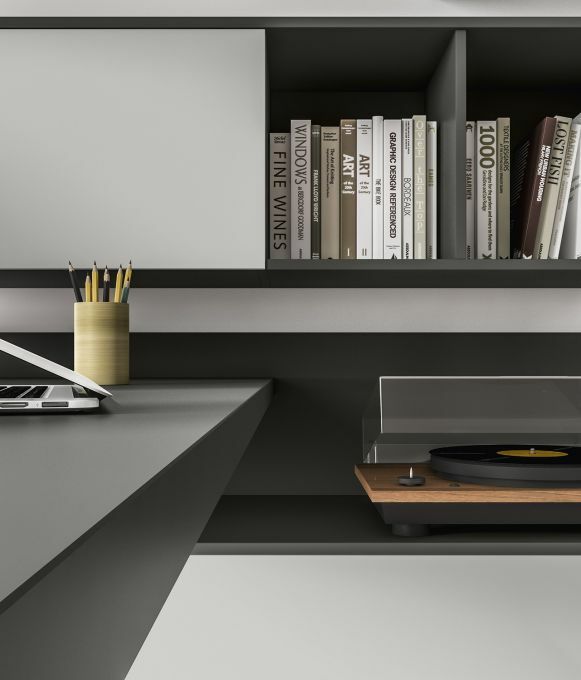 The program of residential living Marka includes a series of compositions in which a practical desk integrates seamlessly into the living area, creating a perfect work space in the living room. 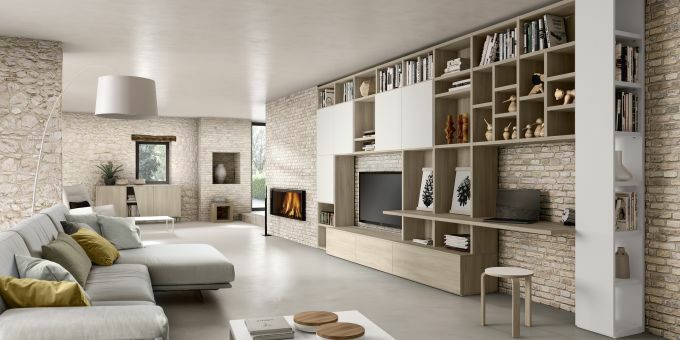 Finishes: Forestal white, Forestal brown. 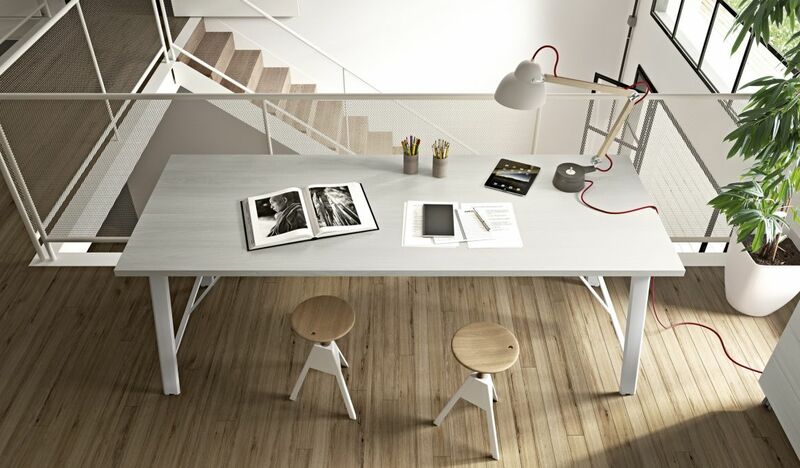 TEK DESK and Day pedestals on castors characterize this practice study area. 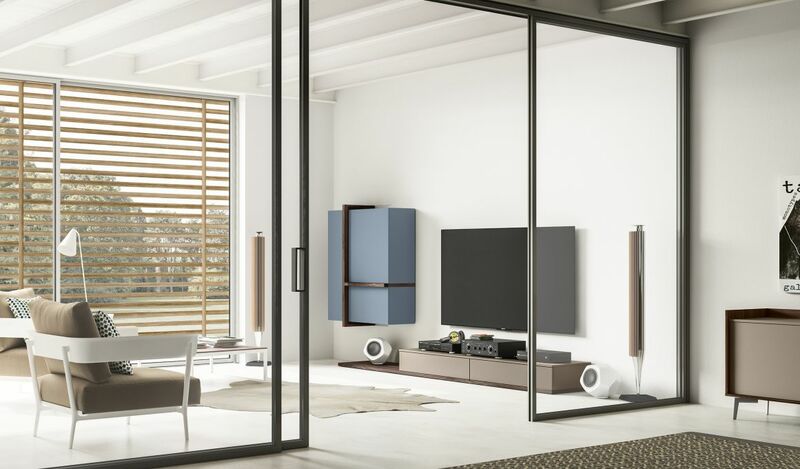 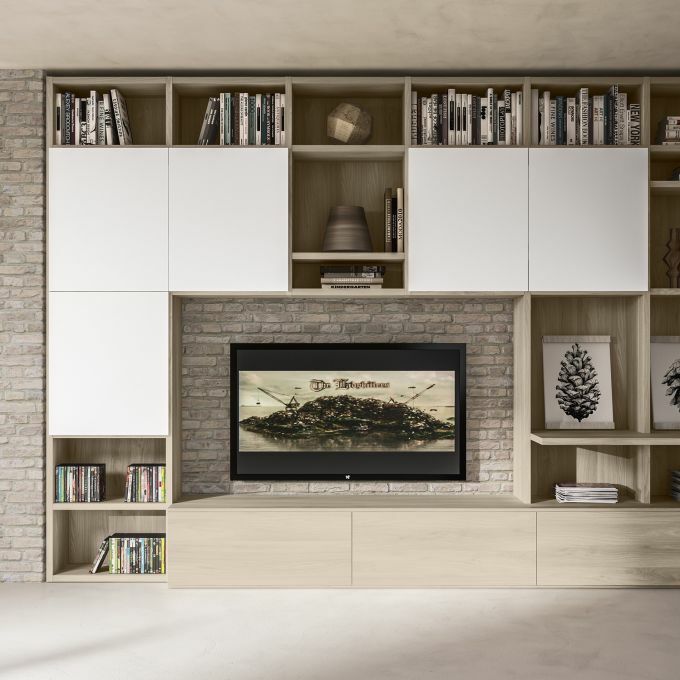 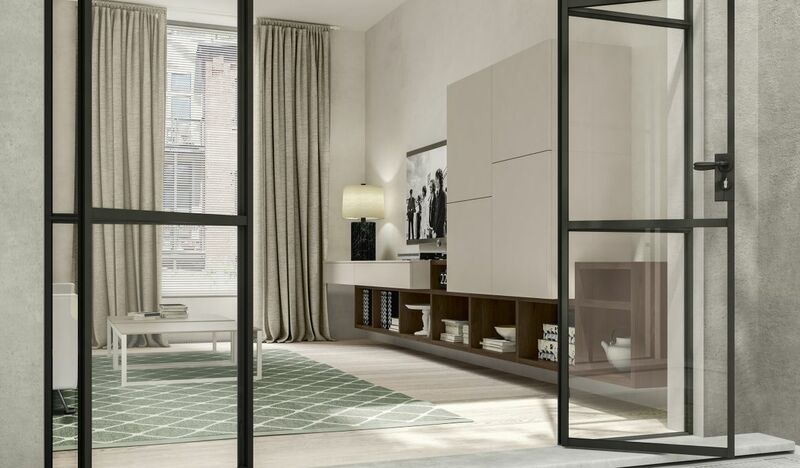 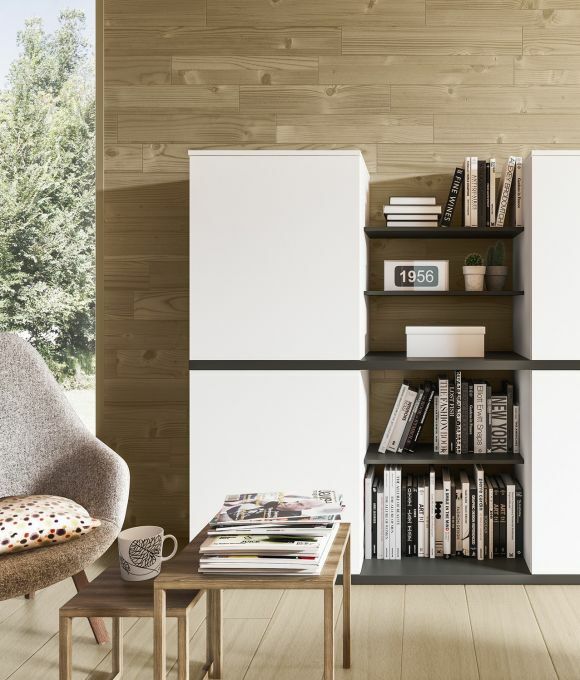 THE "TIME" WALL UNIT PROGRAMME includes three types of floor-mounted partitions (one-sided with back, one-sided without back, two-sided) and two types of suspended partitions (one-sided with back, one-sided without back); all this means infinite combinations made possible by combining them with vertical and horizontal dividers as preferred. 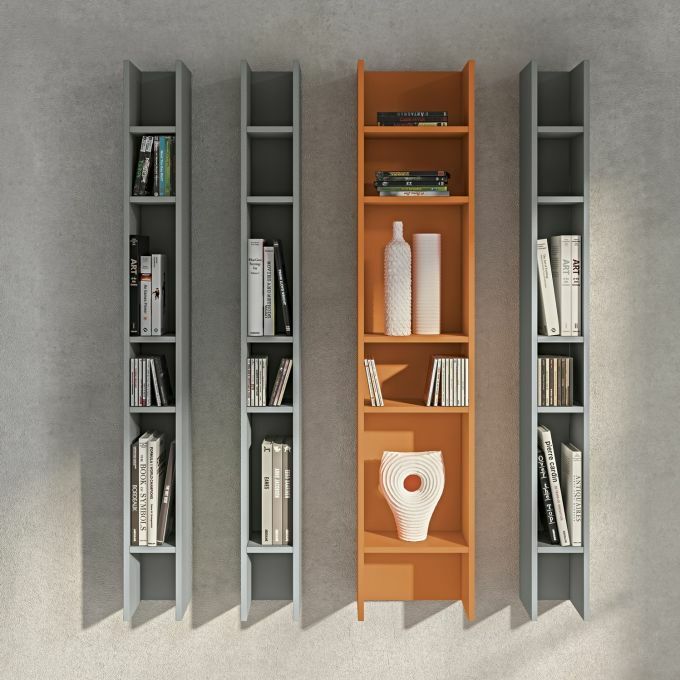 Finishes: Bianco, Cenere, Arancio e Rockwood cannella. 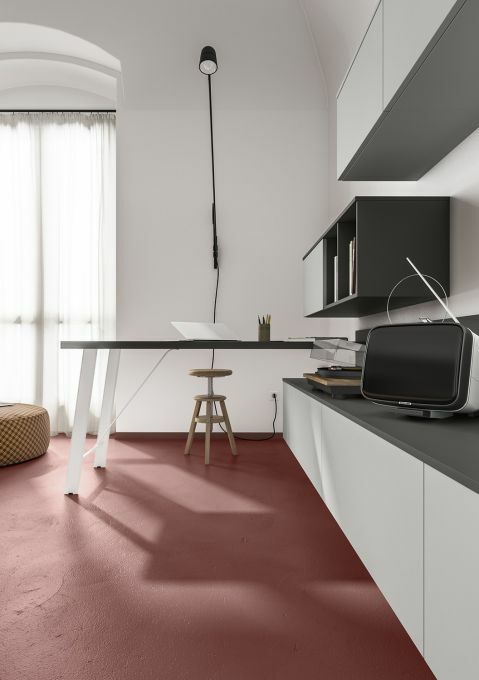 THE BLOG BENCH combines horizontally with the Day containers, creating a pleasant play of full and empty spaces that can be created by mixing together elements of different sizes as desired. 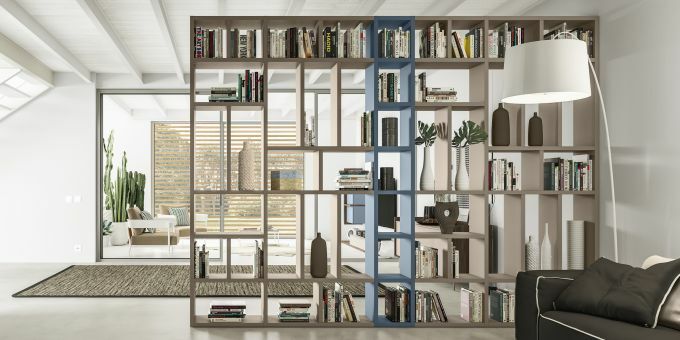 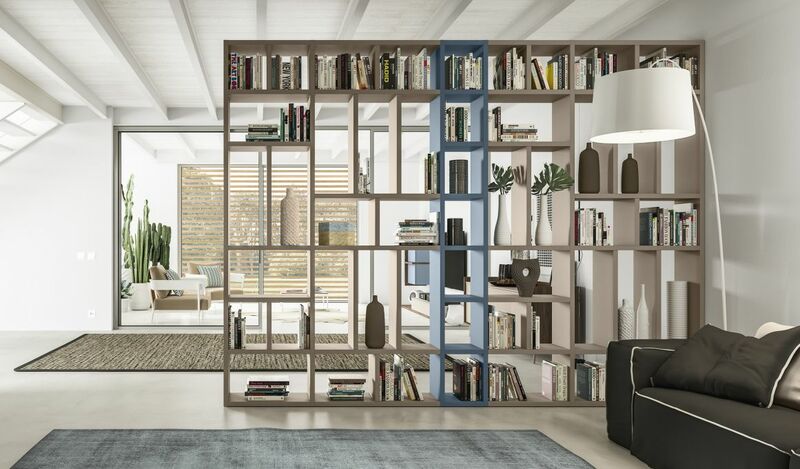 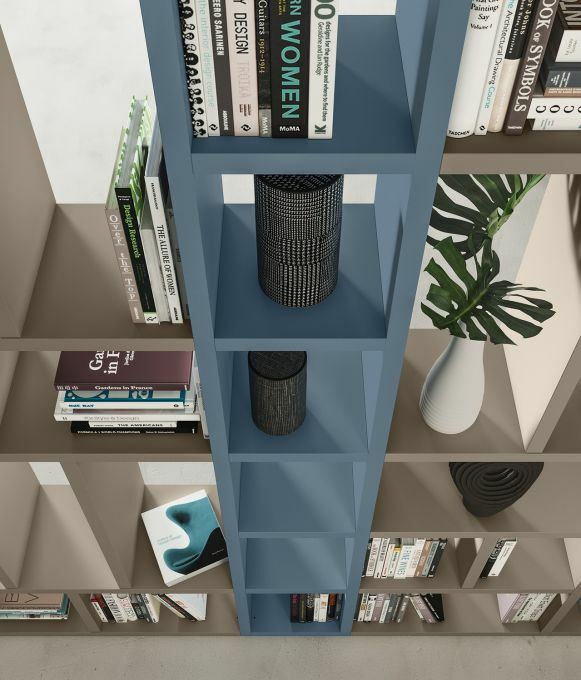 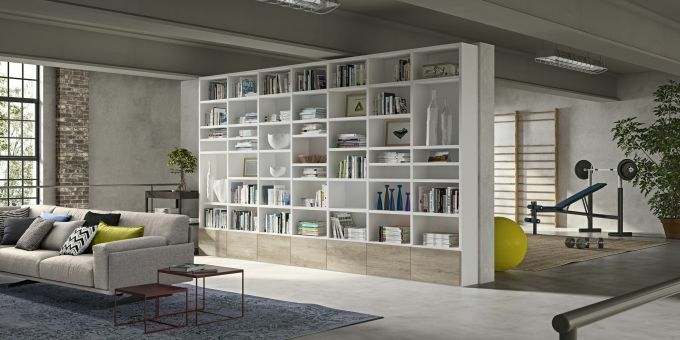 Kant bookshelves, 15 mm thick, laminated or lacquered, available in 2 measurements and can stand vertically or horizontally. 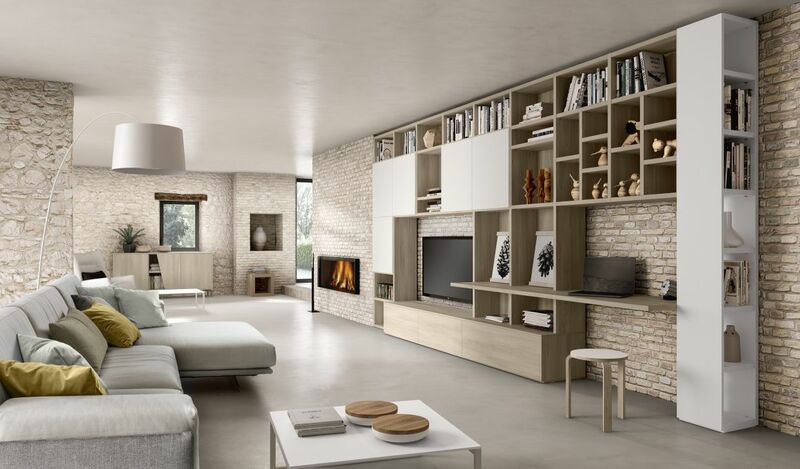 Finishes: Bianco and Rockwood cannella. 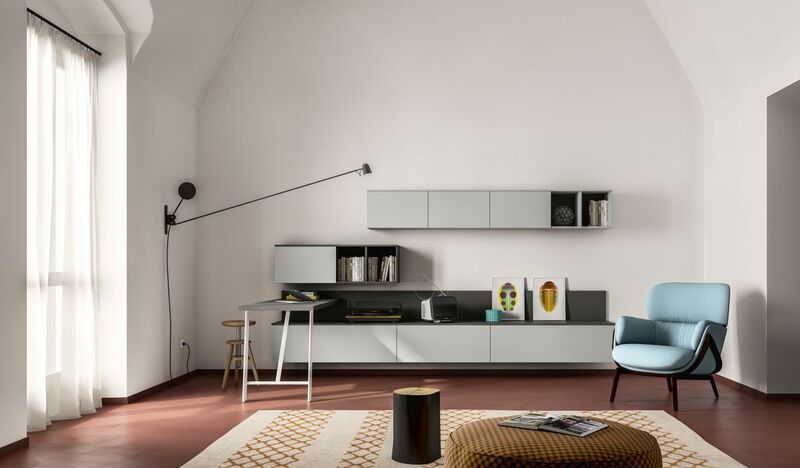 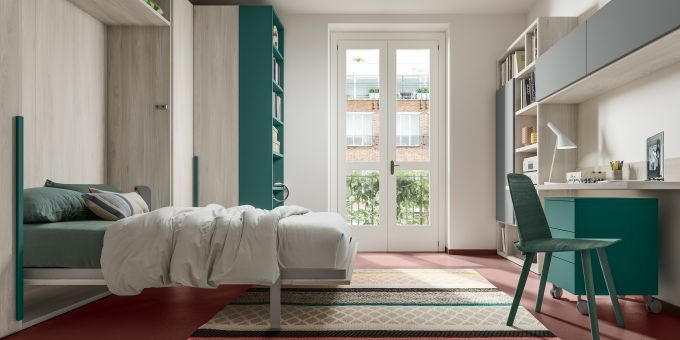 The interparete TIME allows chromatic and material, with the ability to switch between several lacquered finishes, gloss or matt, as well as various species, having endless different combinations available. 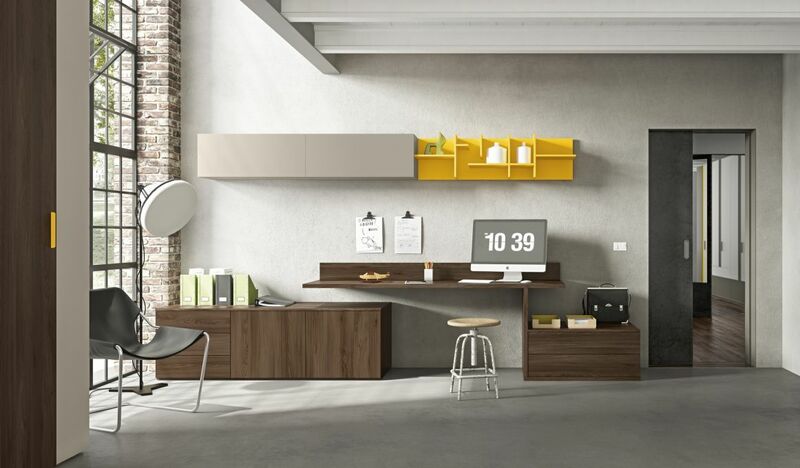 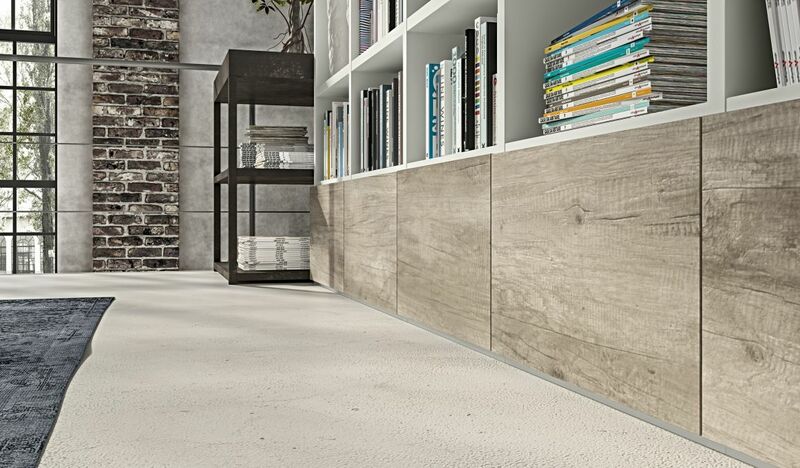 Finishes: Forestal dark, Beige and Giallo sole. 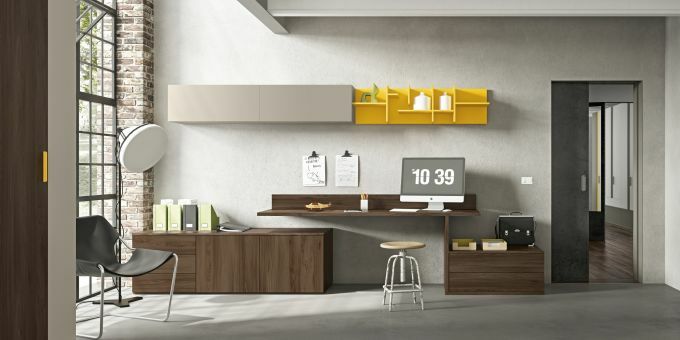 PASCAL DESK. 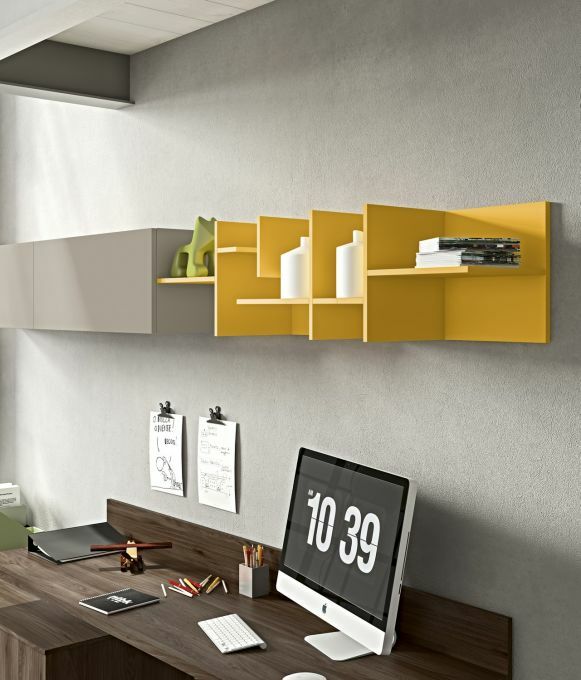 This wall in the furnished master bedroom with Day containers, Cross shelves, and Pascal suspended desk is perfect for work or playing on the computer. 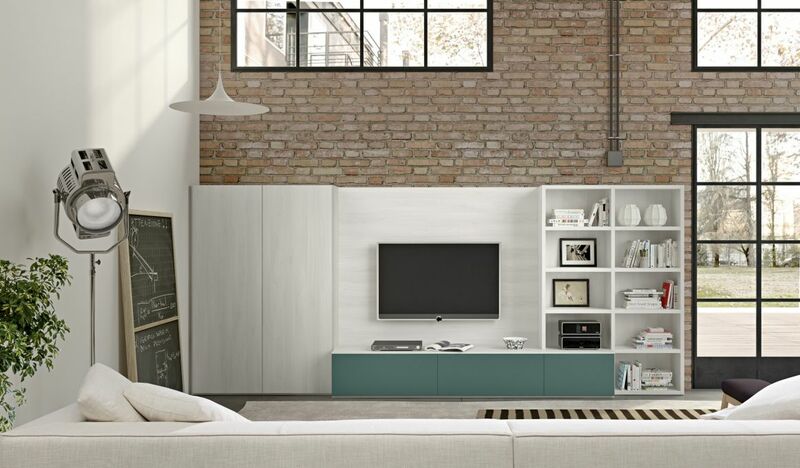 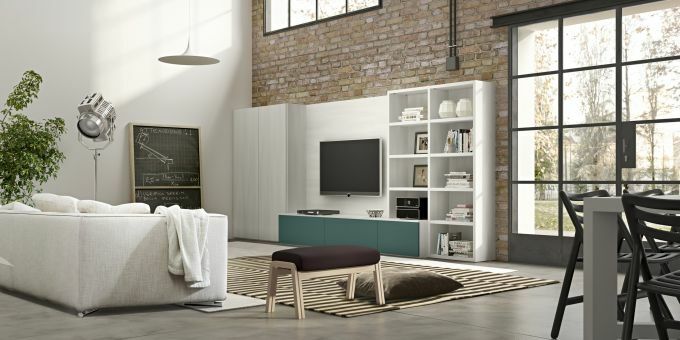 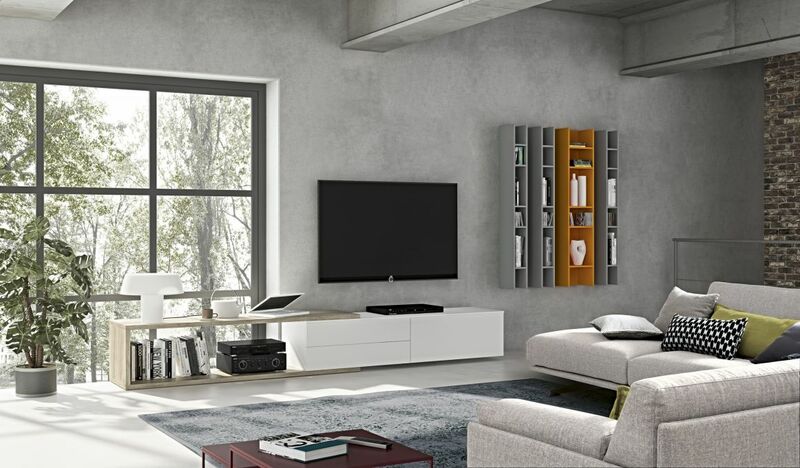 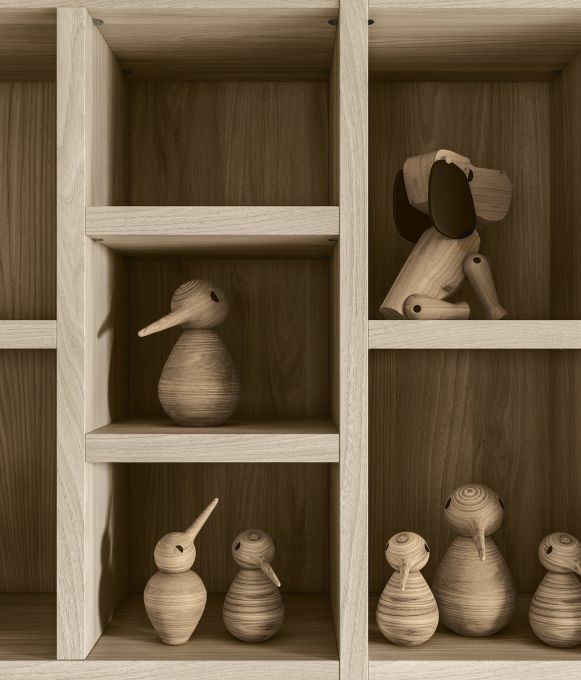 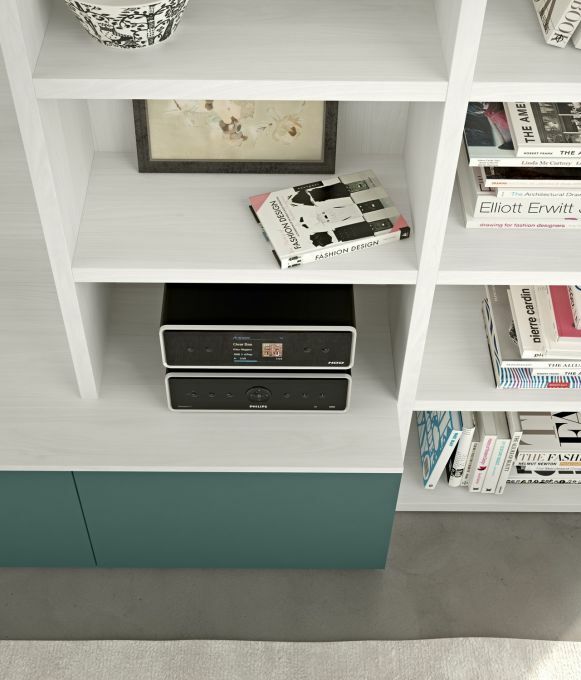 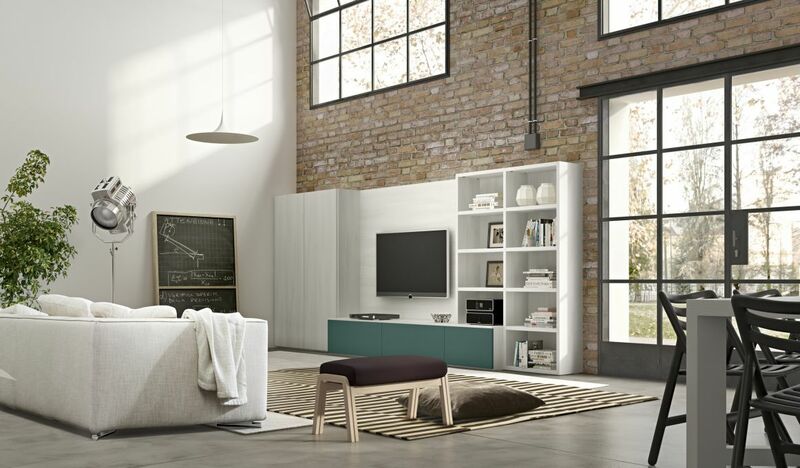 All naturally available in the various laminated or lacquered finishes. 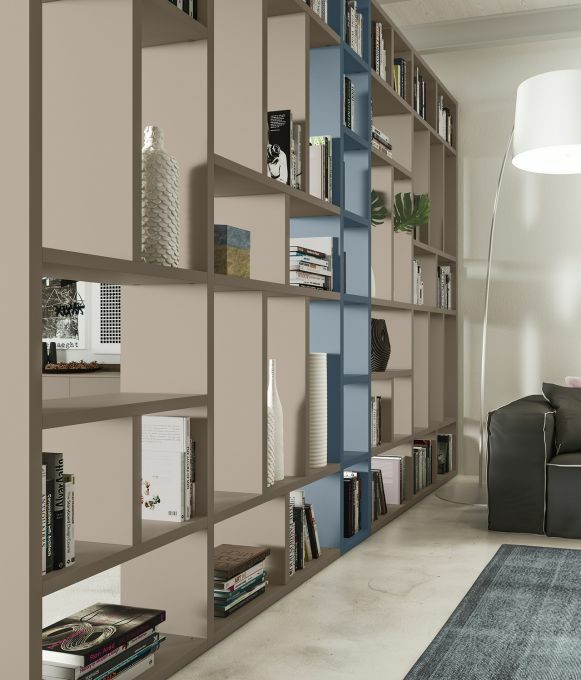 Finishes: Forestal dark, Beige and Pavone. 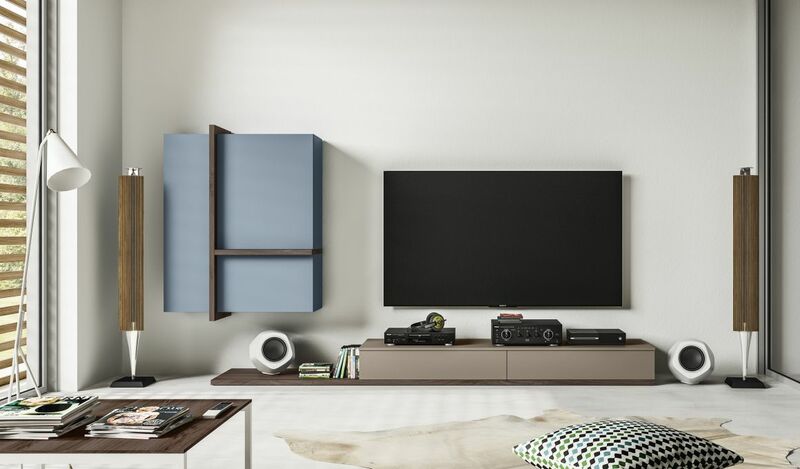 HOME THEATRE, WHAT A PASSION! 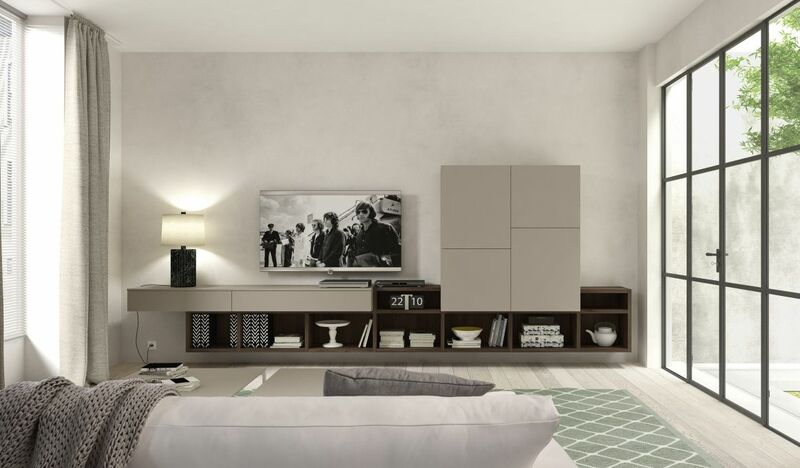 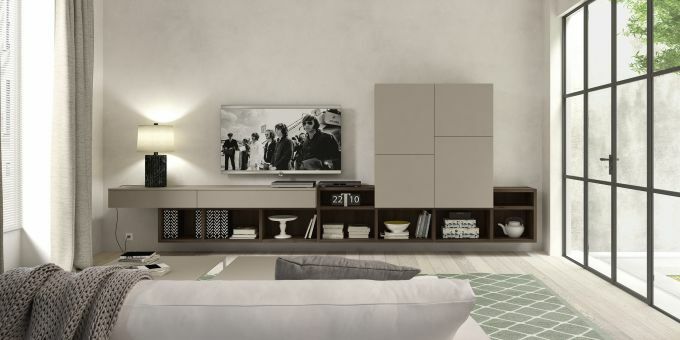 The film lovers of the house will love this furniture dedicated to them. 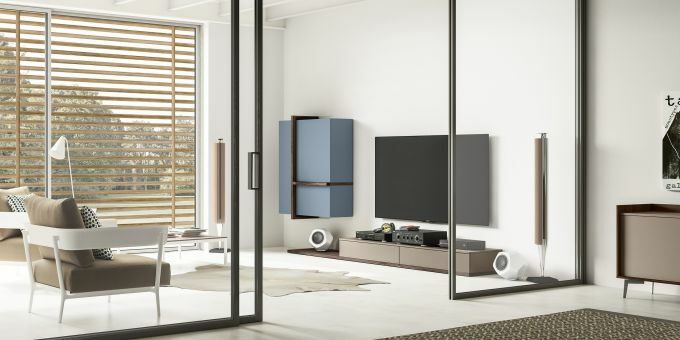 A relaxing room where you can listen to good music or watch films with special effects, alone or in the company of the whole family. 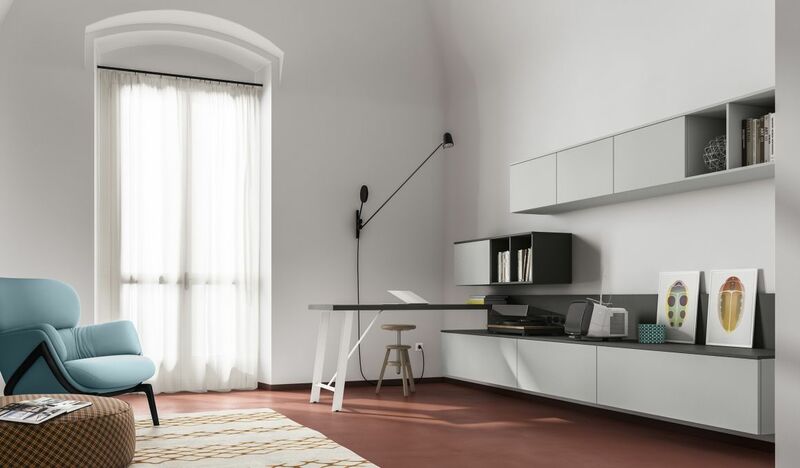 Finishes: Forestal sand and bianco. 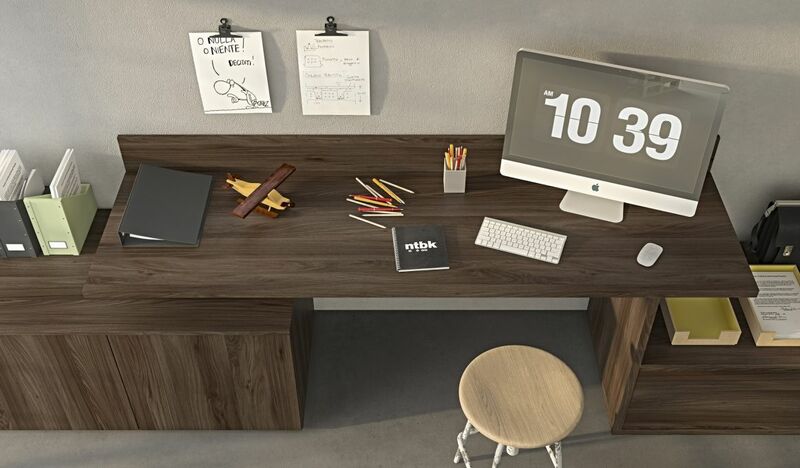 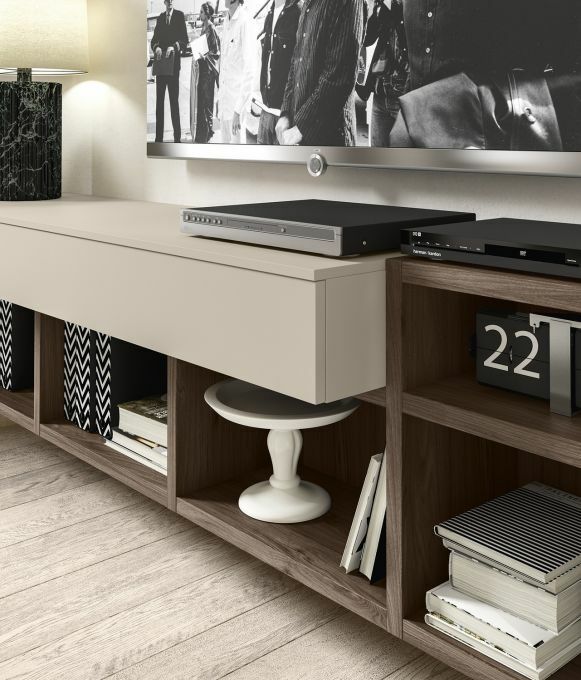 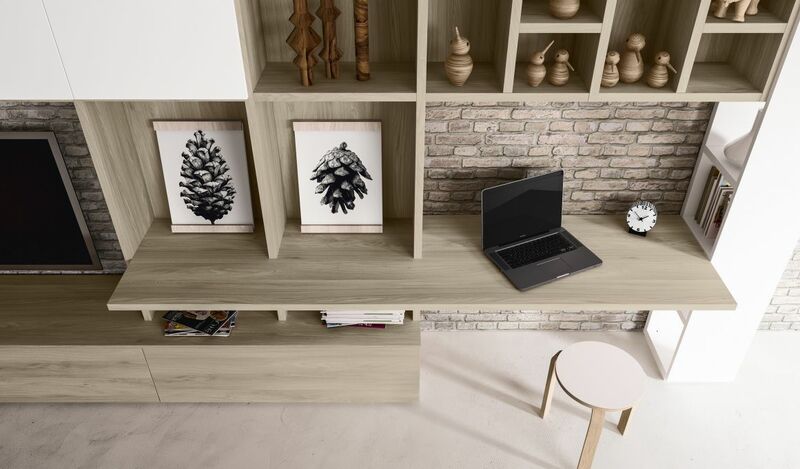 THE DESK TOP, is same thickness as the bookcase, the element that most characterizes the composition aesthetically. 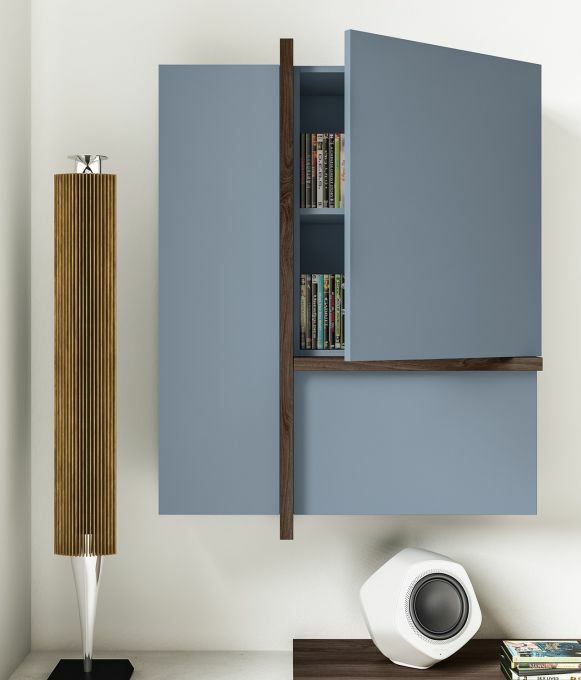 Available madeto- measure, its shape may also be customized upon request. 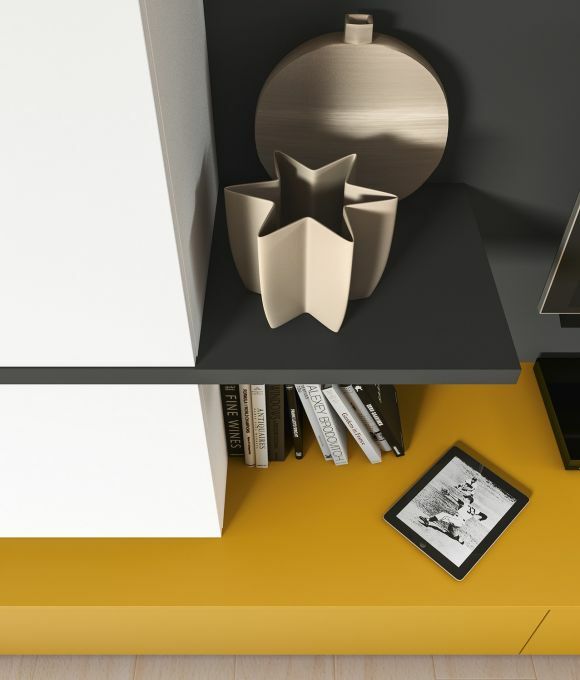 Finishes: Bianco, Antracite and Giallo sole. 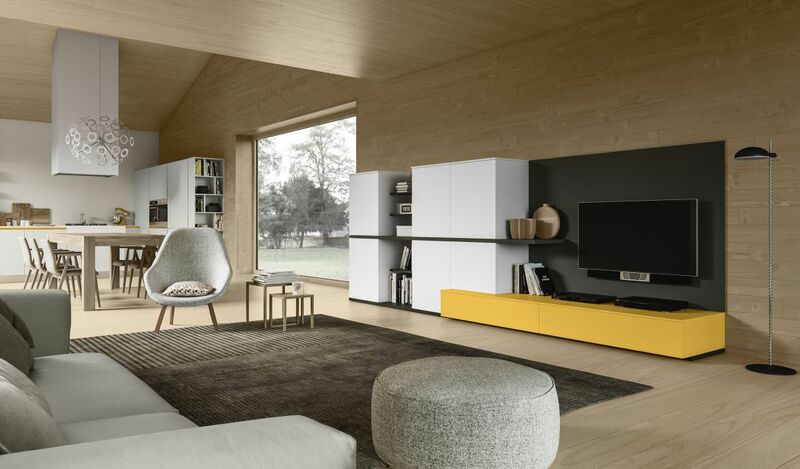 OPEN SPACE is a distinctive area of the house, where your personality can be best expressed; the Day program allows to create original and amusing combinations, by shape and colour. 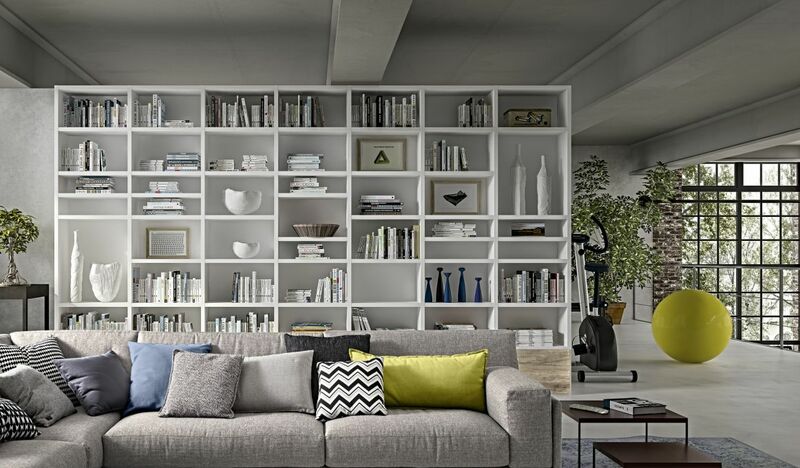 Very important is also the space reserved for storage.